Along with the Police and Crime Commissioner, we have hosted our first Young People’s Summit across a three-day event at police headquarters in Hutton. Over the three days, more than 180 Year 9 and 10 students from high schools across the county were given the unique opportunity to attend the summit, arranged as part of our mission to keep young people safe from harm and help them feel safe.In the first event of its kind we used drama, interactive presentations, workshops and team building games, run by our volunteer cadets, to explore issues of concern to young people such as sexual vulnerability, personal safety and where to go for help and advice. 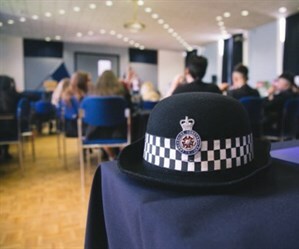 Assistant Chief Constable Mark Bates said: “Part of our responsibility as police officers is to keep young people safe from harm and to equip them with the confidence to be able to make the right decisions when faced with adversity. “Young people, just by virtue of their age, can often be vulnerable and we know that whilst they may be aware of some of the risks of becoming a victim or the perpetrator of a crime, the events have enabled us to have open discussions about specific signs to look out for, to have a more considered approach when it comes to choices and where they can seek trusted support when they need it.”Clive Grunshaw, Lancashire Police and Crime Commissioner, said: “These events were an excellent way to reach out to a diverse range of young people living across Lancashire and I was delighted with the feedback from those who attended. “It is vital we break down barriers between young people and police so they feel confident to talk about the issues that matter to them. It is my job to be the voice of Lancashire residents of all ages and I am committed to reaching out to as many people as possible to hear their views. 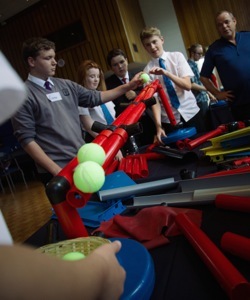 Following on from our successful constabulary open weekends in 2014 and 2015, we identified that only a small number of teenagers came along and this year we looked to address this gap by hosting an event aimed at them. The event agenda and the activities were influenced by a survey we conducted around Safer Internet Day in February. We got more than 5,000 responses from young people aged 11-14, and we found that online they were most concerned about security and their images being shared, whilst the crimes they were most worried about were sexual assaults and being mugged or being attacked. Similarly crime statistics shaped the event, with figures from 2015 showing that 3,604 teenagers aged 13-16 were the victims of a crime with assault, sexual activity and theft being some of the most prevalent issues. During the same time period 2,386 teenagers in the same age group were arrested with assault, criminal damage, shoplifting and causing fear of harm or distress, as some of the most common crimes they become involved in. During each morning session the students watched a play called ‘Tough Love’ by Alter Ego Creative Solutions. The play looked at a real life story that explored coercive control, domestic abuse, consent, peer pressure and sexting. Officers from the Public Protect Unit then led a discussion around the signs of unhealthy relationships, legislation around sharing indecent images and about the support that is in place for victims. This was followed by a film that was funded by the Police and Crime Commissioner and produced by the Artz Centre in Skelmersdale. The film was shown for the first time at the event and highlighted issues around gangs, knife crime and drugs. The film’s creator, Mark Ashton, who came up with the concept based on true events that happened to his friend, led an interactive workshop that got the students to think about actions and consequences. 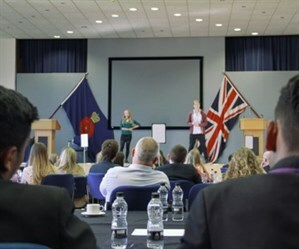 The afternoon session saw presentations about opportunities with the cadets, how to get help and advice from Nest, a service run by Lancashire Victims Services to help young people who have been affected by crime, and some fun team building activities that challenged decision making and working together. Some of the students who attended the event remarked that ‘it was more interactive’ than they thought it would be, it had been ‘useful and interesting’ and when asked more than 82% over the three days said that they enjoyed the event and nearly 90% now felt more able to make the right choices to keep themselves and their friends safe.Teachers and support staff from the schools commented that it had been a really worthwhile exercise and would like to be involved in a similar event again. Some schools were keen to have further involvement with officers and more direct input in schools. All of the feedback from the events will now be collated and we will continue to develop our approach to communicating with young people.